No education system in the world teaches us how to spend money. But better spending habits are key to a healthy financial life. 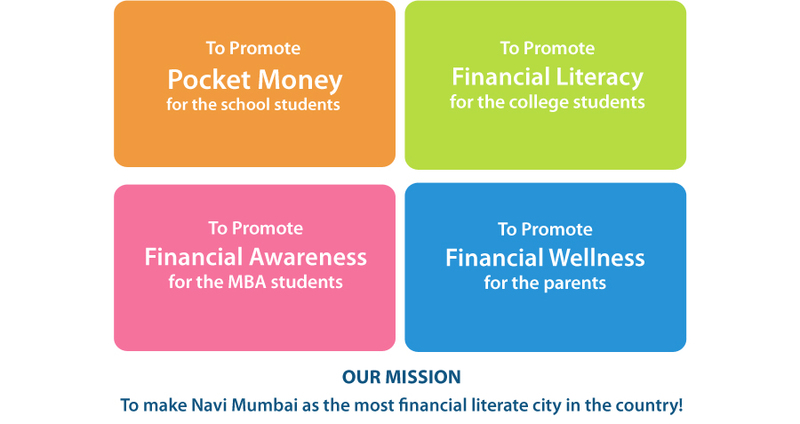 Our financial literacy programs for students aims at promoting financial literacy. It helps them to manage their money in a better way and take charge of their financial life in future. Most people aim for a wealthy financial life by focusing only on increasing the income & wealth but not on creating pious wealth & healthy life style which alone can provide peace and happiness in life.